Factory of Terror Offering Money Saving Hopper Pass this Halloween Season! 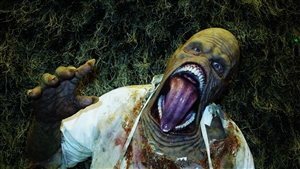 October 7, 2016 By Chelsea T.
Factory of Terror has three terrifying locations and is currently offering thrill seekers a "Multi-Location Hopper Pass" to enjoy three locations for one low price. Offering a number of haunted attraction at each location, Factory of Terror delivers frightening fun for its visitors each Halloween Season. Located in Worcester and Fall River, Massachusetts and West Warwick, Rhode Island, Factory of Terror is giving visitors a chance to check out all three destinations, without having to pay three separate prices! 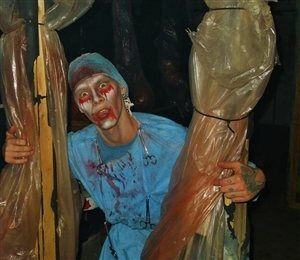 Each location features its own unique haunted attractions, giving visitors a different scare at each Factory of Terror haunt. Not only does the Hopper Pass save haunt-goers money, it does not need to be used in one night. This means visitors can choose the nights they'd like to go to each location and experience the terror that each individual attraction offers. 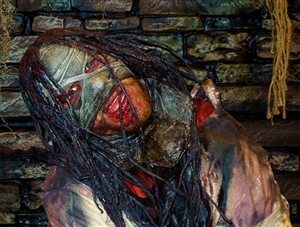 The Worcester location offers five attractions in one, including the Clown College 4D, Zella's Hideaway, Zombie Alley, 3D Nightmare and The 13th Haunt. Located inside abandoned factory buildings, these attractions surely create the creepy atmosphere to give haunt-goers the fright they've been hungry for all year long. At the Fall River location, haunt-goers will experience 30 rooms of heart-pounding fun and a compelling storyline about a girl named Lizzie and the infamous murders that took place inside her haunted home. The Rhode Island Factory offers five unique attractions, including the Ghost Cemetery at Centerville Falls, Psycho Alley, Dracula's Hideaway, 4D Black Out and the Asylum of Screaming Souls. Each providing thrills and chills for visitors throughout the Halloween Season. Haunt-goers can purchase Multi-Location Hopper Passes to two locations for just $29.99 or a three location pass for $39.99. That's only $13.33 per location!